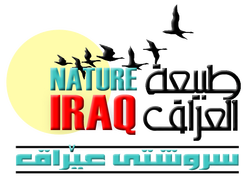 In general, Nature Iraq is always in need of volunteers and interns who can help us with English/Arabic/Kurdish translation and language editing, research, grant development, and projects on an occasional basis. Volunteers based outside Iraq most often work remotely, but in-country internships for expats are occasionally possible. We request a CV from all interested volunteers. Periodically, Nature Iraq organizes community service projects such as tree plantings and street or river cleanups. We are also interested in participating with other groups to do community projects.